Every year around this time I go berserk with cookie making. I mean, it's Christmas time, you are suppose to bake cookies, right? So, because I'm a chronic planner, I start making my baking list in October. No joke. For sometime now, I have been wanting to do something with this vanilla bean cookie that I found in my Martha Stewart's Cookies book. 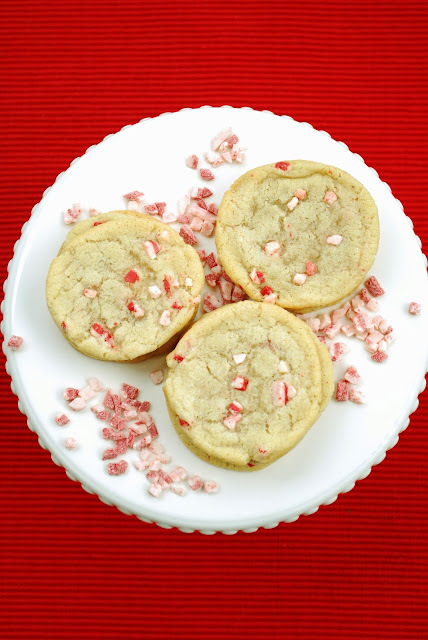 I had visions of just simply adding some peppermint extract to the dough and it magically becoming a Christmasy cookie. Then I found some Andes Peppermint Crunch Baking Chips and it was a no-brainer to add them along with the peppermint extract. Want to know some of the other cookies I always make this time of year. Click here. And here. And here too. Put flour, baking soda, and salt in a medium sized mixing bowl and whisk together until combined. In the bowl of an electric mixer fitted with a paddle attachment, cream the butter and sugar together and then mix for about 2 minutes on medium high. Add the egg, vanilla extract, peppermint extract and the vanilla seeds. Mix until smooth and then reduce speed to low; gradually mix in the flour mixture. 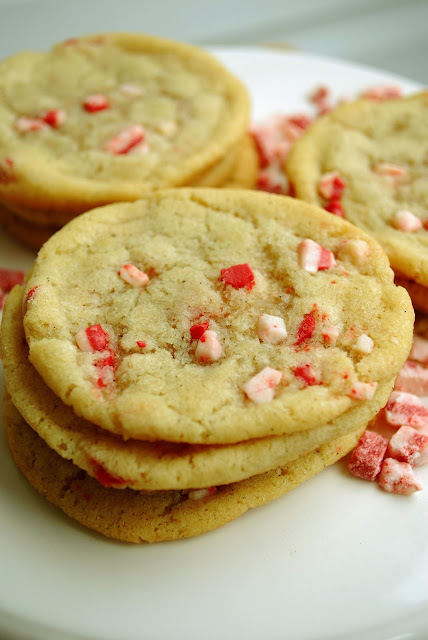 Then, mix in the peppermint baking chips. I found that these cookies, in my opinion, are really only at their best for 1-2 days. By the third day, they seemed dried out and crumbly, so if you are baking for a special occasion, plan accordingly. This recipe made just over 2 dozen cookies for me. These cookies look to DIE for! And so festive too, I love it!